Take a look at our Carpet Repairs before Buying a New Carpet! If your carpet is getting a bit older or has stains that seem permanent, don’t give up on it just yet. Our customers are routinely astonished when we repair their carpet to a like-new condition, even when it has the worst of stains. It’s normal for carpets to suffer from all sorts of wear and tear. You may have pets or children, or just happened to trip while marching your red wine from the kitchen (it’s ok, it happens sometimes). Every homeowner suffers from the nightmare slow-motion spill scenario from time to time. Don’t worry about it though. We have an affordable solution. Give us a call and we’ll have your carpet looking great. We fix all types of damage, including: water damage, moth damage, or damage from vacuum cleaners, burns from cigarettes and heat lamps, and of course carpet stains of just about any kind. If your carpet is damaged, only select parts of it will need replacement. When we clean the undamaged old sections and replace the damaged parts with new segments, the cost is significantly lower than getting a new carpet, and it looks great too! Carpet repair is undoubtedly still the fastest and most affordable way to get your rooms looking spiffy again. 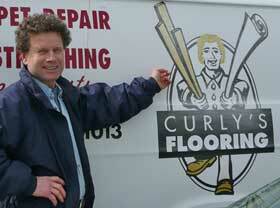 Repair your carpet then and there, bringing it back to life again! Aside from making your carpet look great again, repairs prevent carpet damage from worsening. The more damaged a carpet gets, the more time and effort it will take to repair. Timely action is important, so give us a call to inquire about having an assessment done. At the very least you can avoid having to debate over what color to replace the carpet with, and save tons of money!